Especially, Sandy and Tiffany. 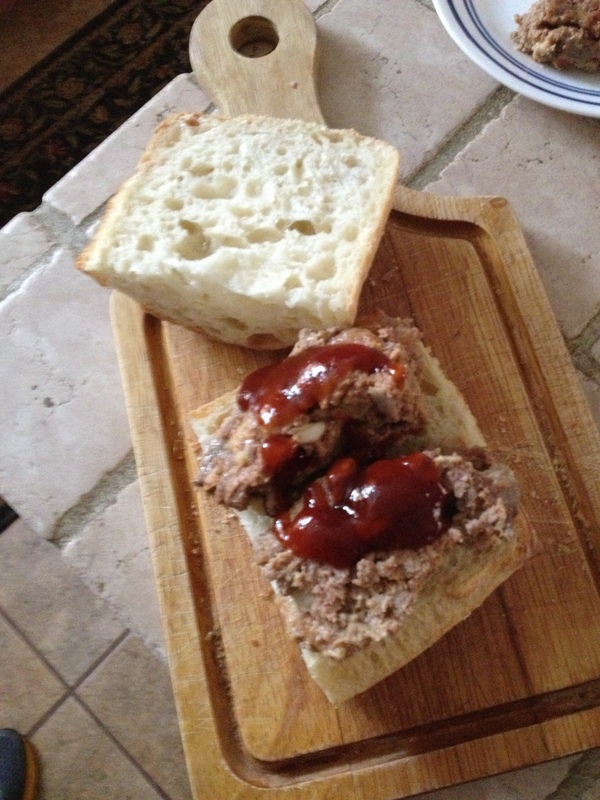 Left over meatloaf on fresh ciabatta with barbque sauce. Yum.